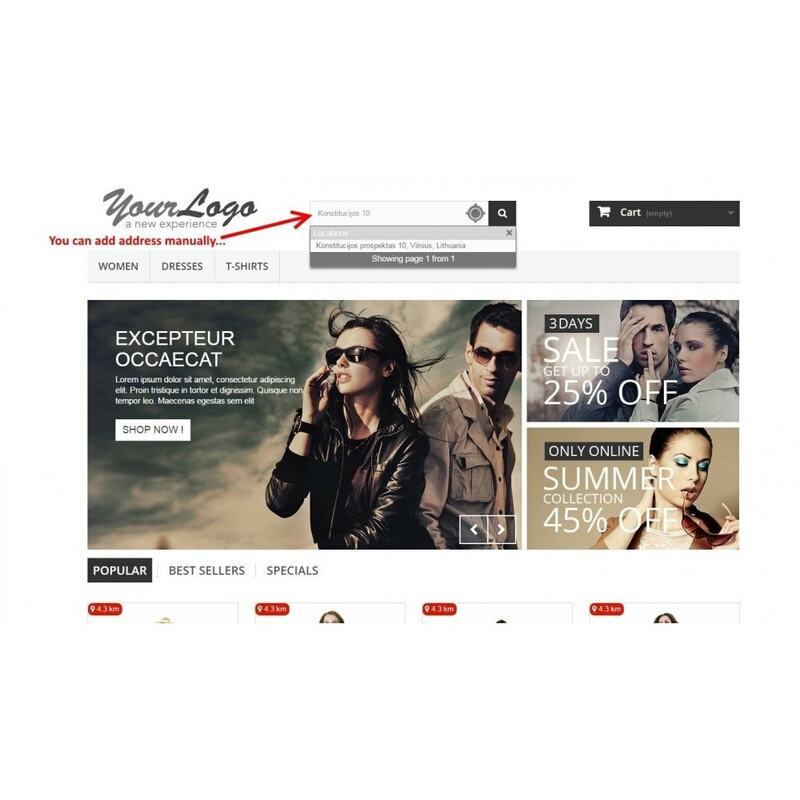 Module will let you add geo locations to all products on your shop, so your customer will be able to search product by his location, so for example, he will see how far away is a pickup point or acctual store with certain products on your e-shop. Search products by entering geo address to a search bar. Choose how many results show in drop-down menu. „Find my location“ button in search bar. Click it and module will find your location automatically. 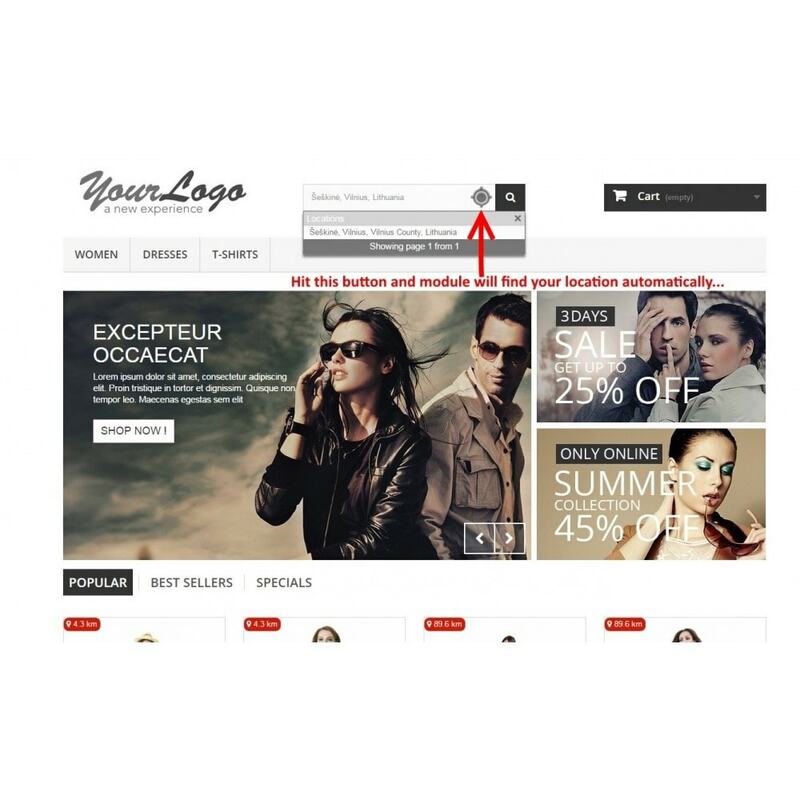 Customizable distance thumbnail within every product picture. Distance can be shown in kilometres or miles. Choose radius (km/miles) to show products around desired location. Product can have multiple locations. Map with products locations in search results and product page. 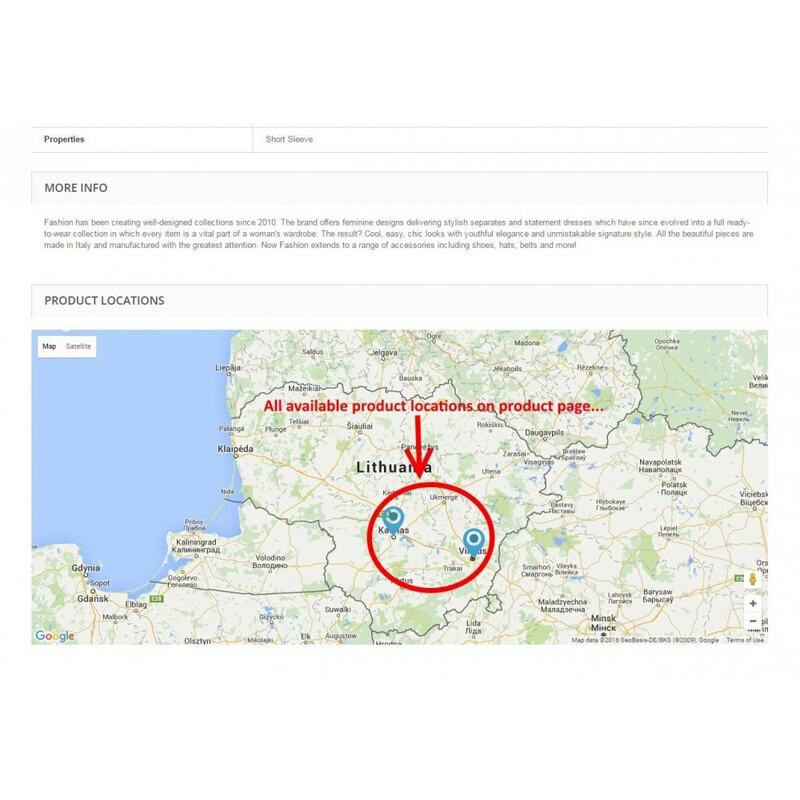 Choose map position in search results page and product page. Customer will be able to find products by location and he will be able to choose most appropriate location to get product.